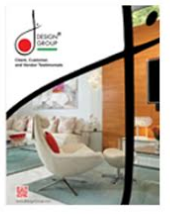 Ordinary Residential Interior Designers pale in comparison to J Design Group. Providing exquisite results for your home our services include construction, purchasing, supervision and coordination of your design project. From bathrooms and bedrooms or even showers and paneling we have everything needed to get the job done. Visiting our website should make your selection of a residential interior designer much easier. Once you see for yourself the results we have had you will not have to look any further. Our company is located in Coral Gables, Florida and you can reach us at (305) 444-4611 by phone, and by email at jdesigngroup@aol.com or visit us at 225 Malaga Avenue in Coral Gables. J Design Group is committed to bringing you the results you seek while respecting your requests, budget and deadline. We seek the client’s cooperation as the project unfolds to its completion. The company is encouraged to have customer participation, as it is our goal to surpass your expectations in bringing you your vision of a stylish home. Residential interior designers must put the clients wishes first and that is our priority. Capturing the personality and style of the client is an ordinary task with J Design Group residential interior designers. The results will amaze you. Peruse the images on our website that display what we can do for you and you will be assured that our interior design will be right for you. Our clientele spans a wide range of design challenges from luxury homes to corporate facilities. The right residential interior designer can be hard to find, but not with J. Design Group. It is astonishing the difference good residential interior design can make on the look and feel of your home. It is important to feel comfortable and at ease in your home and we can provide everything to achieve this. Our professional residential interior designers services encompass the entire package of interior design from your initial ideas to bringing those ideas to fruition. J. Design Group is everything a residential interior designer should be with that extra touch that will impress you and guests at your home. Interior Designers: What do we do?